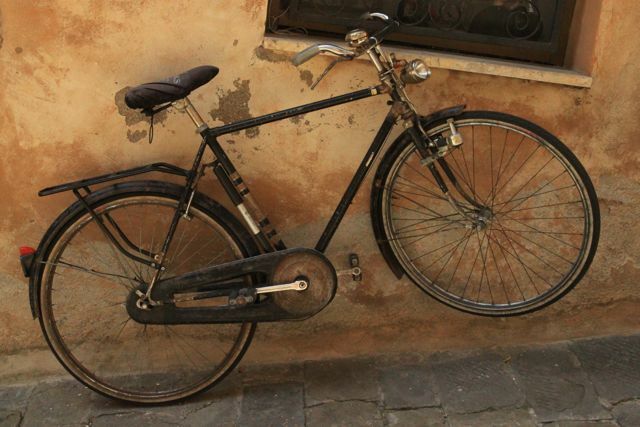 Italy is a place of bikes where the alley ways and streets are filled with both bikes well loved and abandoned. Some are tagged with graffiti, while others are dainty and clean. Some are simply left abandoned, down a dark alleyway for someone else to find. They are so interesting to look at with the a thousand different backdrops from different city walls. 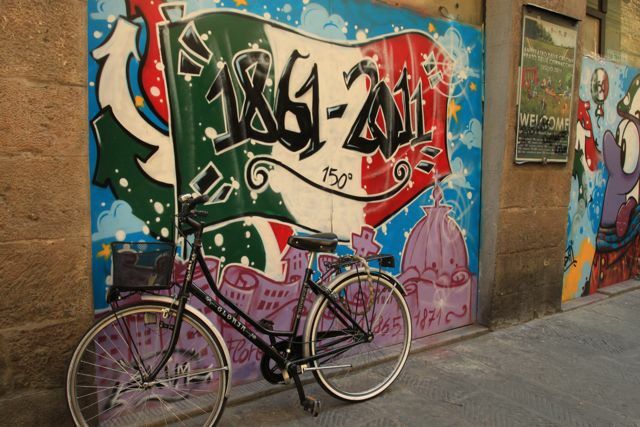 The city changes but the bikes stay the same. 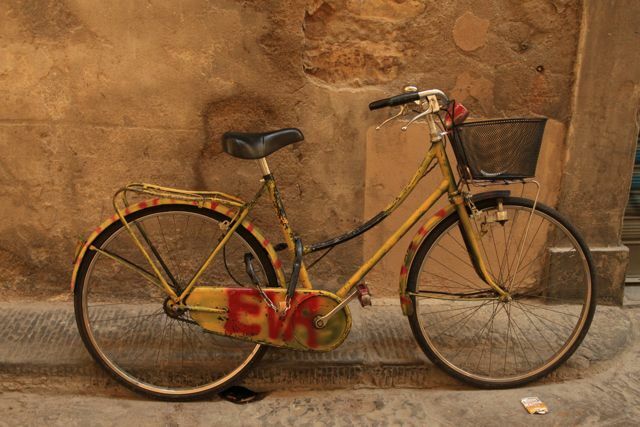 They are a monument to mobility that mark the streets without mercy. I just got back from an exciting encounter at Berkeley where in I got to meet and photograph Johnny Depp. Yes, the Johnny Depp. 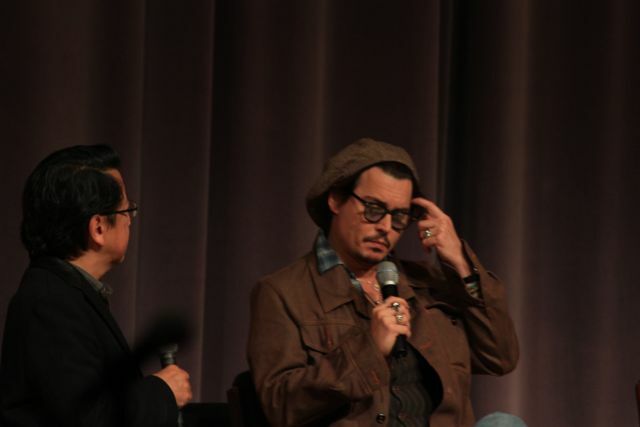 In an exclusive invite only event at Uc Berkeley, Johnny Depp’s new movie, The Rum Diary, based off of a Hunter S Thompson novel, was aired a week early. Oh and a Q&A with Johnny Depp after the movie. I love Hunter S Thompson, and the work done between Johnny Depp and Thompson is phenomenal. I am a die-hard fan. Any who… The movie was really good, a few loose ends but a decent movie indeed. To get what you all are waiting for, Johnny Depp. I lurked in the back row with my telephoto lens to get these pictures. He was exactly like what I imagined. He was the same as all his interviews, movies, or anything he every does, he was just Johnny Depp. He was so nonchalant, but not in an arrogant way, very down to earth. It seemed like an altogether likeable guy. I really enjoyed his outfit. He had on like four necklaces, five rings, and a few bracelets as well as glasses. I feel like every interview I have ever seen him in he is wearing that hat. Not that it is bad, it is just sort of funny. I really enjoyed his mannerisms. He was very expressive in his hand motions and altogether interesting to listen to as well as watch. He talked a lot about Hunter and his relationship with him which was very interesting. Oh and he tried to take his jacket off and the interviewer that has there basically jumped to try to help him take it off. Johnny Depp gave him the funniest look, and started to laugh. So awkward and so funny. P.S look at his tattoos, they are so interesting. I wonder what they mean. Overall, a fun night. Very interesting to meet and see a celebrity. I wound up leaving a little early because I thought I was going ot either be kicked out or have my camera taken because we were not supposed to have “professional grade” equipment. So after I got to hear him talk for a little while and get a couple of good shots, I was outta there. Very cool, I hope to do this again some time soon. It is so very strange how different this city is than any I have been to in the United States. There is such a grace and splendor that emanates from this city that is not present elsewhere. You can feel the Renaissance as if it happened yesterday. You can feel the presence of some of the greatest minds of all time, living here. Walking the streets that they once walked. Seeing the sights they say as part of their daily routines. This is the city of minds, of rebirth and discovery. 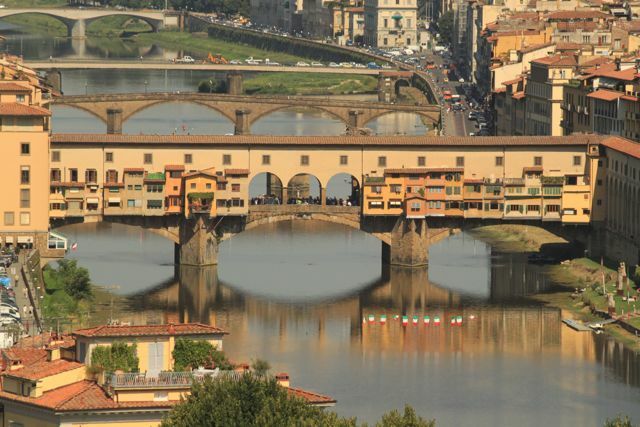 The Ponte Vecchio, a bridge that is full of artisan splendor, with jewelry shops hanging from the sides of the bridges and on either side the main fairways of Florence. 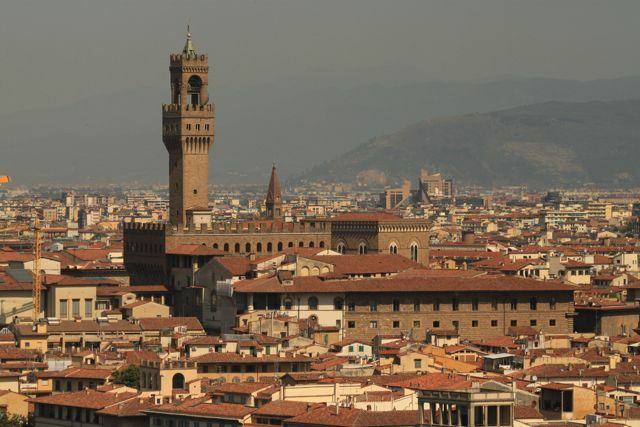 This is a city that cannot only be seen from an overlook and enjoyed because the real life of the city can be found walking through the streets between works and houses of the greats. 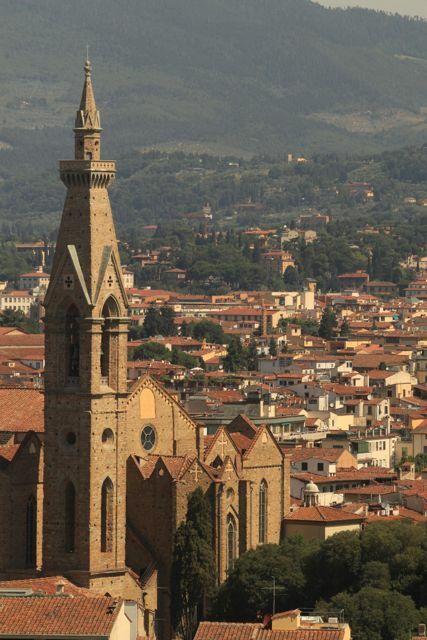 Once you enter Florence, it will never be the same. 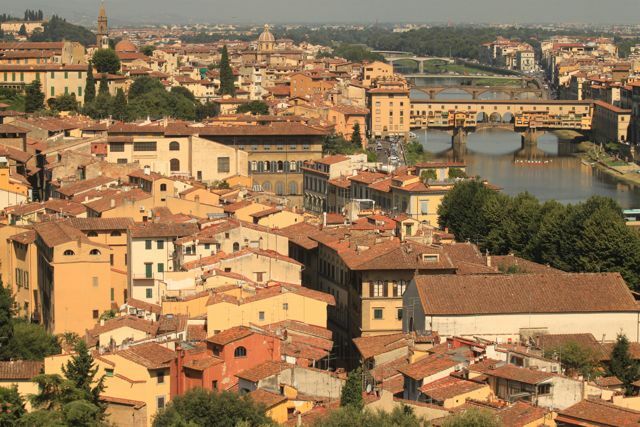 In Florence there is a tradition called the Florence Lover’s Locks. 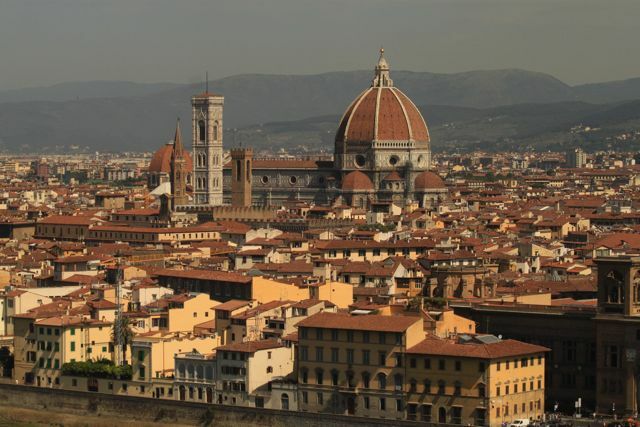 It is said that in Florence that if you and your true love take a lock with your names written on it and lock it somewhere in FLorence your love will last forever. 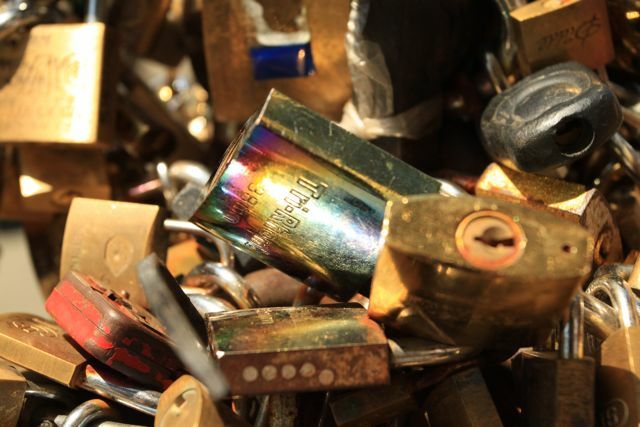 As we explored Florence, all over the city we discovered these locks. They are only allowed in certain sections of the city and in all other places they will be cut down. Because of this people have had to get creative and lock them in impossible to reach and obscure places. It was amazing to look all over the city in random unfathomable places that had locks hanging from it like of the bottom of a bridge or incredibly high on a wall. 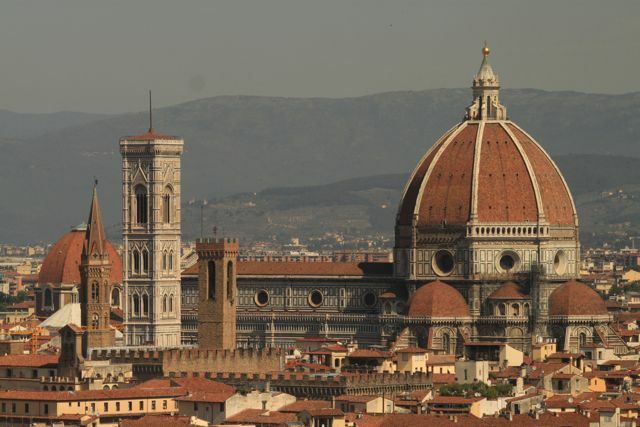 This romantic symbol hidden all over the city is just one note of charm to introduce the beauty and splendor of Florence.